In September 2010, I came to Southampton to spend the next three years studying at Southampton Solent University. 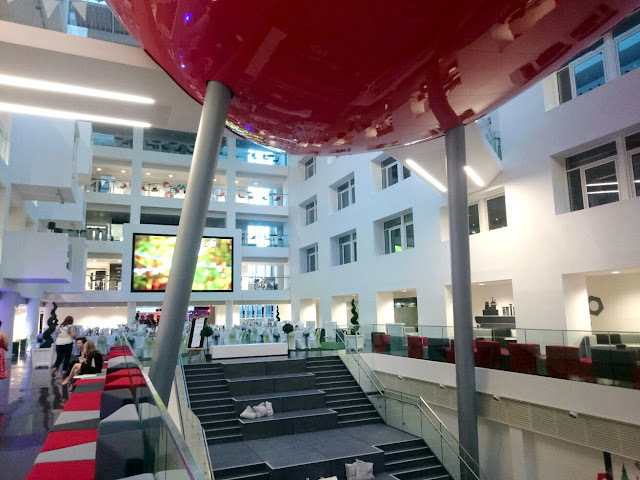 Six years and a huge development later, I was invited to the grand opening of Southampton Solent new conference centre called The Spark. The new £30 million building located on campus has the availability to be used by businesses for exhibitions or conferences while also providing extra lecture space for students during term time. After being constantly told I need to implement a daily skin routine, I have been using Sebamed Skincare for the last 28 days. The products are formulated using high purity ingredients that aim to take care of your skin, leaving it feeling soft and smooth. With a PH value of 5.5, Sebamed aims to keep your skin at its healthiest. Over the last few years I have seen blogging grow at a phenomenal rate, from people not wanting to share the fact they blog to now sharing their experiences whether this be from their latest haul, holiday or event. This has resulted in a community that supports each other over common interests. Today I wanted to share with you the reasons why I have chosen to blog. Where better way to start my blog than being able to tell you all about the Burger Sliders and Mojitos that you're able to try at Mettricks Guildhall. For anyone who isn't aware of Mettricks, it is a Southampton run coffee house that wants to bring a better coffee experience to Southampton and the surrounding area.